The organizations first announced they would study a potential partnership in November 2015 when Care New England selected Southcoast Health through a competitive request for proposals (RFP) process. An announcement to proceed with a closer affiliation was made in May 2016. Since that time, while conducting due diligence reviews and preparing regulatory filings, the parties have come to recognize that their visions for the combined system could no longer be achieved. 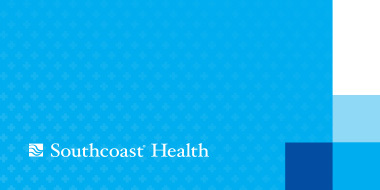 Southcoast Health and Care New England are parting on amicable terms and will continue their longstanding collegial relationship in the southeastern New England community. Regulatory officials in Massachusetts and Rhode Island have been notified of today’s decision. An application seeking approval for the proposed affiliation had been filed with the Massachusetts Health Policy Commission in late August, and work had been underway for several months on the regulatory filings for the Massachusetts Department of Public Health and Massachusetts Office of Attorney General, and the Rhode Island Department of Health and Rhode Island Office of Attorney General. Dennis D. Keefe, president and CEO of Care New England, expressed gratitude for the Southcoast and Care New England governance, leadership, and advisory teams for their months of effort working to advance the proposed partnership. “There has been tremendous work that has gone on throughout this process. One tangible outcome of all this effort is coming to know some very fine people at Southcoast, and we hope to continue in these relationships as both organizations work to improve the health and well-being of our community across the region.